If you are looking for an excellent opportunity to participate in a surplus military tent adventure right now, then the good news is that now is the time for syrup making! Syrup making goes back for hundreds and hundreds of years, and basically entails the harvesting of sap from a grove of trees and boiling that sap into syrup... it takes about 10 gallons of sap to make 1 quart of syrup. It is not hard to get started, and you don't really need any elaborate equipment to do so. You can find many different tutorials online, and to be honest, there is nothing more fulfilling than basically going out and, like a big old bee, making your own honey. Though you can go so far as to purchase professional syrup making tools from places such as Mother Earth News, you can get by with things you buy from the local dollar store. 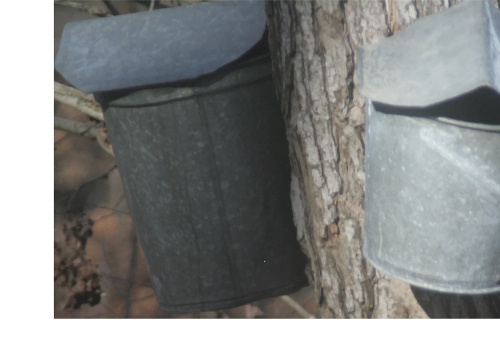 The process and means of collecting and rendering syrup are not difficult to learn, but the question you might ask yourself is: "Why should I do this when it is much simpler to just buy it?" Well, that's a good question, and here are three reasons you make your own syrups. 1. Diversity. Everyone wants to be diverse right? So why not let that practice bleed into your use of breakfast and dessert condiments as well? You are not restricted to harvesting and making maple syrup, you can gather and render walnut sap and birch sap as well. 2. Profit. Fresh, homemade syrup of any flavor brings great prices at co-ops, farmers markets, festivals, and online. Why not get in on the market trend and do something you love to make a buck or two. 3. Personal Satisfaction. There is nothing more satisfactory than making something from what you find in nature and have somebody willing to buy it. In any event, pitching your military surplus tent in a wilderness area for a week or two of syrup rendering will be an excellent opportunity to not only repurpose your military surplus, but will also give you an opportunity to have a time of fun and adventure that is fit for the entire family.